Attending school this past year was filled with the usual ups and downs that come with getting a great education. Your school or collage aged student paid their dues by attending class, studying, writing papers and growing as a person. Now, it’s time for you to reward them by letting them relax and finding some fun things to do over the summer. Being a family in the Finger Lakes puts you in the perfect place to get out and explore other towns and places that your family didn’t have time to do during the school year. School, work and other responsibilities take up a lot of time, preventing your family from fully appreciating everything this region has to offer. If your family is sticking around for the summer months, this is the perfect opportunity for you to plan a little getaway for your family. Did you know that there are some amazing vacation rentals in the Finger Lakes that offer you better amenities than hotels? 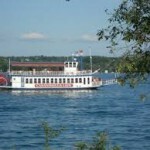 Finger Lakes vacation rentals are a marvelous alternative to traditional hotels. This type of rental involves reserving a beautiful home to stay at for a few days, a week or longer. The cool thing about this is that these rentals feature modern kitchens that allow you to fix your own breakfast, lunch and dinner. You can shop at the local grocery store and prepare those recipes you’ve been meaning to try. They also have spacious living and dining rooms that accommodate several people. You can stretch out, hold chat sessions, watch TV, read, listen to music or hang out on the porch (home rentals). You will quickly find that these home-like settings provide you with more value than what is ordinarily available in cramped hotel rooms. For example, most hotels don’t offer you a gorgeous view near a picturesque lakefront. If you know anything about living out by the lake here or anywhere else, it costs a pretty penny. Yet, you and your family can experience this by choosing a Finger Lakes vacation rental home. But, of course, you don’t want to spend all your time hanging out at the rental place. There’s got to be other things to do, right? As a matter of fact, there is plenty to do on your getaway vacation. You can choose to go biking, hiking, boating, sightseeing or shopping every day. Spend a day along a nearby wine trail tasting world-class vintages from local wineries. Take pictures while exploring charming towns and villages. Attend a food and music festival. See a live theater show. Indulge in a day spa. Hey, and don’t forget to visit a local park that has a waterfall. The natural beauty in the area is stunning. There are still a few available vacation homes for rent in Skaneateles that have tons of amenities. Grab your summer getaway spot now, before they’re all snapped up. June is here and that means that it’s once again time to enjoy the warm weather while exploring all of the wonderful happenings around the Finger Lakes. Whether you live in the area, or are visiting from somewhere else, there is always something interesting going on in the local towns and cities. Take the opportunity to visit an area event that you’ve never been to before and soak up the local culture. To make your stay even more relaxing you can take advantage of all of the fantastic Finger Lakes vacation rentals available to visitors this month. For instance, there are some beautiful vacation homes for rent in Skaneateles. This picturesque town sits right next to Skaneateles Lake, a body of water that is still in its pristine state. Rent a condo or home by the lake and enjoy events nearby. Come out and support all the wonderful shelter dogs waiting for a forever home by attending Woofstock 2014. Kids and pooches are welcome to this fun event that will feature music, treats, doogie goodies, groomers, face painting, an auction and much more! Donations of dog food, bedding and toys are welcome. You can also adopt a dog or cat. The Bristol Valley Theater celebrates its 50th anniversary of providing great live theater entertainment with a tribute to Noel Coward. Enjoy songs and dialogue from Coward’s most popular musicals. 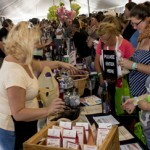 What could be better for wine lovers than a symposium celebrating the very best of Finger Lakes wine and food? You’ve heard how great the wine is here. Now is your chance to indulge in two days of exquisite wine tasting and gourmet cuisine. You also have the opportunity to attend an exclusive seminar and luncheon that delves further into the intriguing world of quality wines. A very special dad can enjoy some delicious barbecue food while spending quality time with the whole family at the Aurora Inn. Everyone is welcome to play lawn games, go swimming or kick back and relax while listening to some good old-fashioned Dixieland jazz music. June marks the 34th Annual Strawberry Festival and there is a fun time to be had by all at this popular event. Here’s your opportunity to buy fresh strawberries grown on local farms. Other reasons to come out include the Straw Dawgs Strut, a 5K Race, Rubber Ducky Derby, Bounce House, Beer and Spirit Tasting, Miss/Mrs. Strawberry Pageant, arts, handmade crafts, tasty food and great music. No matter what you are planning to do in June, our Skaneateles Lake vacation rentals make the perfect place to end your day. Take a moment to browse current openings for vacation rentals in the Finger Lakes this month. Reserve your vacation getaway right now.